Escape with a little tropical TLC. These luxurious spa treatments feature sugar cane enzymes, tropical nut oils and fruit extracts to nourish and intensely pamper. Your skin will check in for a little therapeutic R&R and check out feeling island gorgeous. Since 1979, Alba Botanica has offered 100% vegetarian personal care products that do beautiful for you, your friends and the animals and Earth you love. We make a full range of products packed with potent, botanical ingredients that are formulated to nourish the individualized needs of your skin and hair. Because we are committed to the health and happiness of all furry friends, we never test our products, or the ingredients that go into them, on animals. We recognize the need to be good stewards of all natural resources. So we try to do beautiful by reducing our environmental impact in everything we do as a business. With our products, the way that we make them, and how we treat others, we want to inspire and uplift women from head to soul. 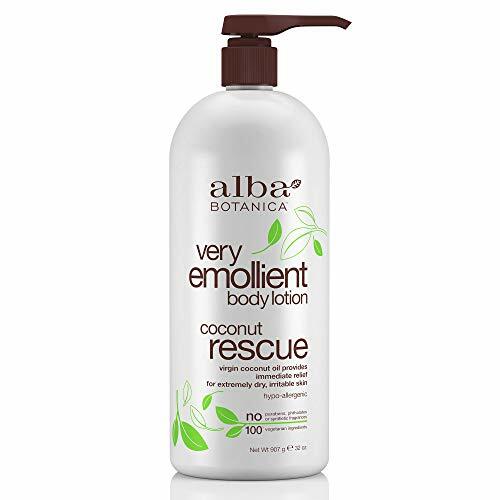 Alba Botanica Very Emollient Coconut Rescue Body Lotion, 32 oz. 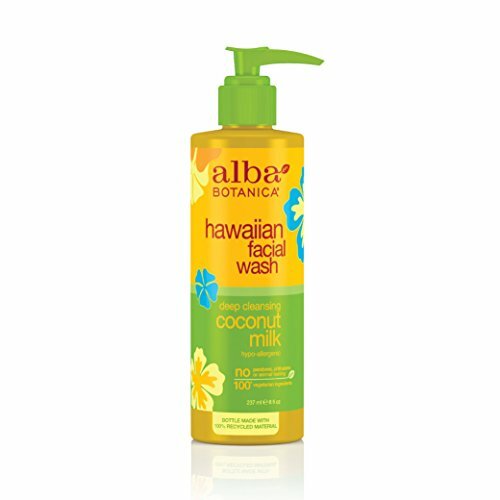 Get relief from dry and irritated skin with Alba Botanica Very Emollient Coconut Rescue Body Lotion. This rich, creamy lotion is made with virgin, unrefined coconut oil and coconut milk to nourish and intensely hydrate skin. It's also made with moisturizing botanicals such as sunflower seed oil and shea butter. Our 100% vegetarian formula is hypo-allergenic and does not contain any parabens, phthalates or synthetic fragrances. It is also not tested on animals. Includes one 32 oz. bottle of Alba Botanica Very Emollient Coconut Rescue Body Lotion. At Alba Botanica, our product family constantly evolves alongside health, beauty, and ingredient knowledge and trends. We’re dedicated to making high quality, 100% vegetarian products that overflow with botanical ingredients. Do beautiful – that’s the motto that motivates our body loving products that nourish the skin, hair and, of course, the soul. Product Information from Alba Botanica Enriched with coconut and aloe to indulge the senses and soothe dehydrated skin. Features and benefits: Made especially for dry skin types, this creamy, non-foaming body wash replenishes essential moisture as it cleans, leaving skin soft and luxurious. Ingredients: Purified Water, Caprylic/Capric Triglyceride, Stearic Acid, Vegetable Glycerin, Glyceryl Stearate, Carthamus Tinctorius (Safflower) Seed Oil, Stearyl Alcohol, Butyrospermum Parkii (Shea Butter) Phenoxyethanol, Benzyl Alochol, Potassium Sorbate, Cocos Nucifera (Coconut) Oil, Vanilla Planifolia Fruit and Cocos Nucifera (Coconut) Extracts, Certified Organic Aloe Barbadensis Leaf Juice, Emulifying Wax, Theobroma Cacao (Cocoa) Seed Butter, Polysorbate 60, Prunus Amygdalus Dulcis (Sweet Almond) Oil, Dimethicone, Rosa Canina (Rosehip), Borago Officinalis (Borage) and Linum Usitatissimum (Flax) Seed Oils, Mangifera Indica (Mango) Seed Butter, Sorbitol, Carbomer, Certified Organic Hibiscus Sabdariffa Flower and Chamomilia Recuitia (Chamomile) Flower Extracts, Sodium PCA, Tocopherol and Tocopheyl Acetate (Vitamin E), Retinyl Palmitate (Vitamin A), L-Ascorbic Acid, Citric Acid and Botanical Fragrance. 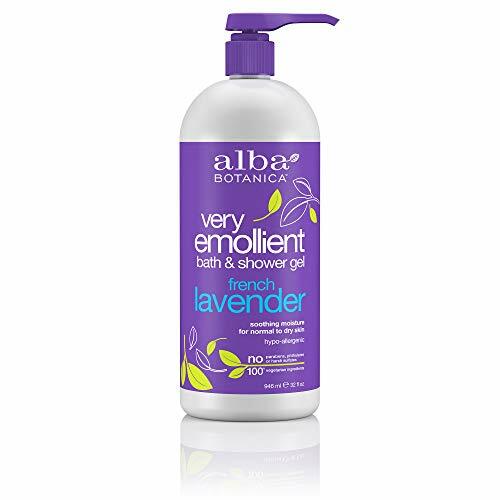 Alba Botanica Very Emollient French Lavender Bath & Shower Gel, 32 oz. 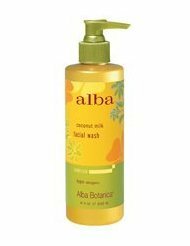 Alba Botanica Very Emollient French Lavender Bath & Shower Gel gently cleanses skin for a soothing, calming shower. This rich-lathering shower gel is enriched with coconut oil to leave skin feeling soft and supple. Botanical extracts such as lavender, aloe leaf juice, lemon balm and chamomile pampers and nourishes skin. Our 100% vegetarian formula is hypo-allergenic and does not contain any parabens, phthalates or harsh sulfates. It is also not tested on animals. Includes one 32 oz. bottle of Alba Botanica Very Emollient French Lavender Bath & Shower Gel. At Alba Botanica, our product family constantly evolves alongside health, beauty, and ingredient knowledge and trends. We’re dedicated to making high quality, 100% vegetarian products that overflow with botanical ingredients. Do beautiful – that’s the motto that motivates our body loving products that nourish the skin, hair and, of course, the soul. 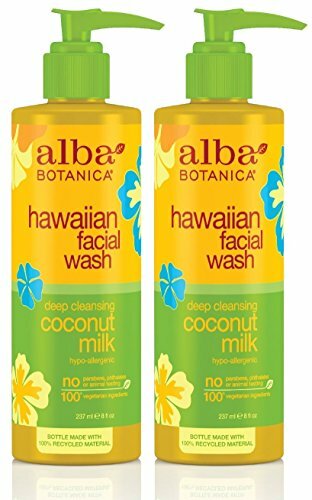 Alba Botanica Hawaiian Coconut Milk Face Wash, 8 Ounce -- 3 per case. Live Clean Coconut Milk Moisturizing Body Lotion, 17 oz. Live Clean Coconut Milk Moisturizing Body Lotion is made with luscious coconut milk from the tropics and apricot oil to nourish, hydrate and restore moisture balance to the skin. Our moisturizing body lotion is enriched with vitamins E, C and B to improve skin's overall softness and luster. This lotion is 98% plant-based, vegan, not tested on animals and free from parabens, sulfates and harmful chemicals. Includes one 17 oz. bottle of Live Clean Coconut Milk Moisturizing Body Lotion. Founded in 2007, the Live Clean brand was created with a simple vision: to create high-performance skin and hair care products that celebrated beauty while honoring the earth. We believe that living clean isn't just about what we eat, but it's also about the products and ingredients we put on our bodies. Live Clean products harness the beautifying power in plant-based ingredients for gentle and effective products that are safe for you and the environment. Itchy skin driving you coconuts? 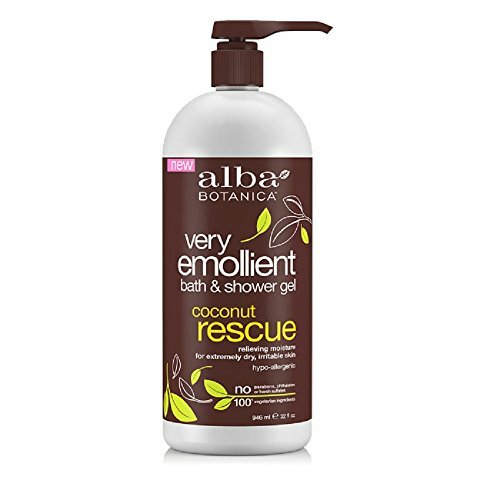 Get some relief with the Very Emollient Bath and Shower Gel Coconut Rescue from Alba Botanical. Alba Botanical strives to deliver the finest possible formulations for the ultimate in effectiveness and benefits to your skin and hair by using ingredients from Earth's plant sources such as rich vegetable and nut oils, pure plant waxes, herbal extracts and pure essential oils. 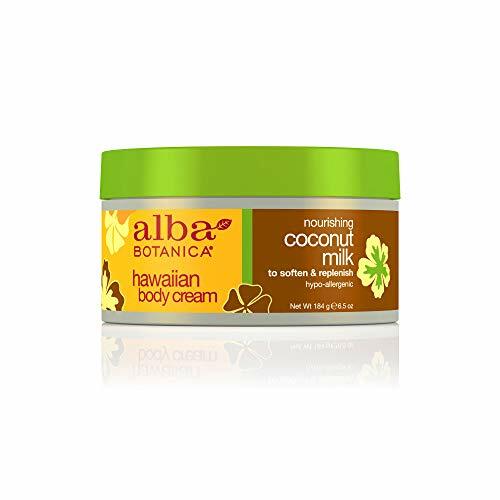 Compare prices on Alba Botanica Coconut Milk Cream at LiveSaler.com – use promo codes and coupons for best offers and deals. We work hard to get you amazing deals and collect all avail hot offers online and represent it in one place for the customers. Now our visitors can leverage benefits of big brands and heavy discounts available for that day and for famous brands. We try to makes comparison shopping easy with Product Reviews, Merchant Ratings, Deal Alerts & Coupons. Find Deals, Compare Prices, Read Reviews & Save Money.